Sponsored by Kentucky Lake Convention & Visitors Bureau and hosted by Calvert City, Kentucky. Lodging host is Kentucky Dam Village State Resort Park. 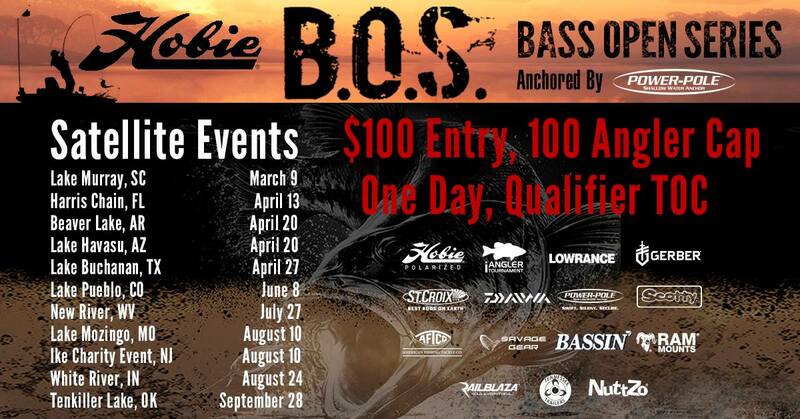 The inaugural season of the Hobie Bass Open Series aims to provide a true open format to and an elite feel for kayak anglers across the country. Each Open allows the top finishing angler to earn a spot on the North American Team for the Hobie Fishing Worlds 9 and the Top 6 finishing anglers earn a highly coveted spot in the 50 angler culmination of the season, known as the Tournament of Champions. A Catch, Photo, Release format will test an anglers skill on premier fisheries during prime conditions. Anglers will be able to turn in their longest 5 Black Bass each day in hopes of maxing out a 10 fish limit, scored in inches, over the course of the 2 day tournament. 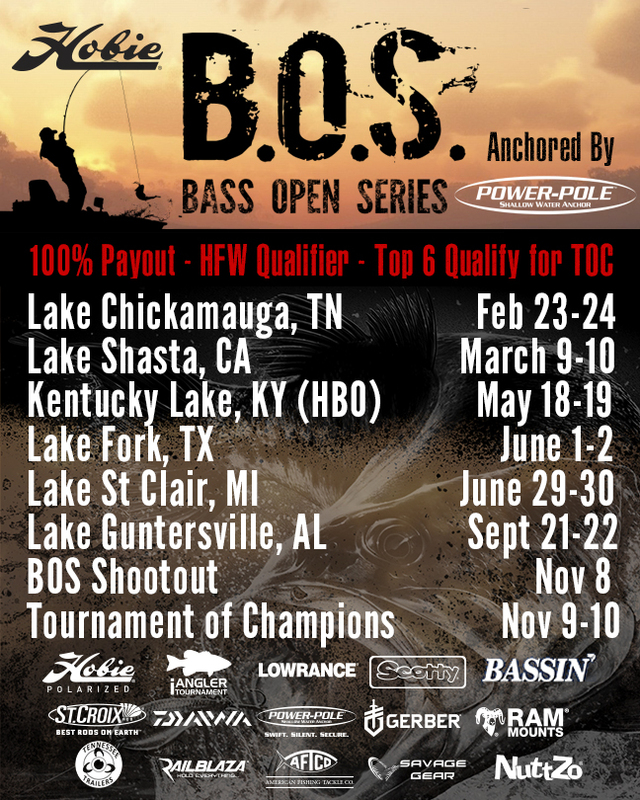 100% of all entry fees gets paid back out to the anglers throughout the season, and the top 10% of the field will be paid out at each event. With high-end payouts, Elite level qualifications and an exclusive year end championship, the Hobie BOS events provide a great opportunity for any kayak angler no matter what brand of kayak they enjoy using. "Ask for the Hobie Bass Open Rate"
Please note: These special prices are only available through April 14th! Registration and Check-in. All anglers must check-in and sign a waiver during this time period. Mandatory captain’s meeting to go over the rules and format. The check-in will start at 3pm CST and continue until all on-time participants have checked-in. Recap of Day 1: Acknowledgement of top 10 anglers, review day 2 format, day 1 awards and drawings for sponsored prizes. Following day 1 recap, official Day 2 token will get passed out. Participants are allowed to begin fishing at safe light. Participants must be in line to have their token on the check-in board by 4pm CST. Once all anglers have checked-in and inches have been totaled and checked, we will begin the awards process to complete the tournament.